Hello! 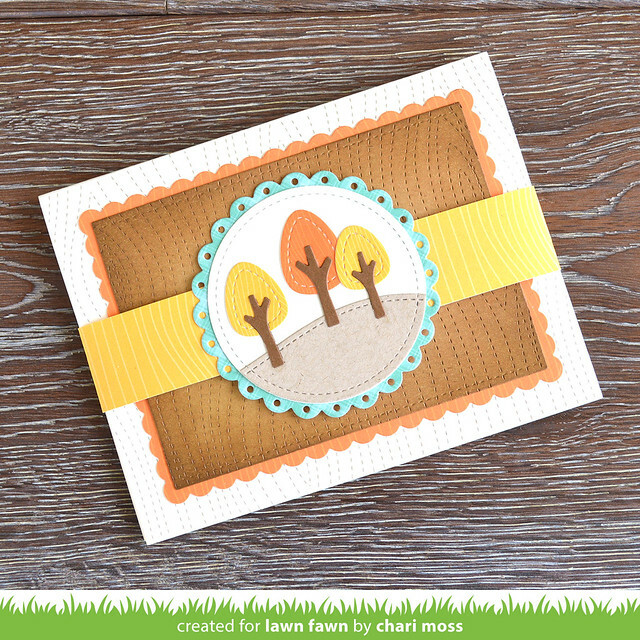 Today for Lawn Fawn Inspiration week we are playing with the new Gift Card Pop-Up die and Stitched Woodgrain Backdrop die. I used them along with some new Knock On Wood papers to create a cool scene behind my gift card slot. I kept the cover simple using the stitched woodgrain backdrop for the cream card base as well as the kraft panel. I added distress ink to the panel to make it darker along the edges. The little trees are part of the Shadowbox die set. The circle in the center and the yellow band wrap around the card to keep it closed and slide off to reveal the inside. For the inside I cut the Gift Card Pop-up from light brown Knock on wood paper then I layered some stitched hillsides cut from the same paper behind it. The trees on the inside are different than the ones on the front. I colored some vellum with alcohol inks for the tree tops which has a really cool stained glass look when light shines through. Here is a closer look at the inside with all those cute little fall trees. Be sure to check out other gift card pop-up projects on the Lawn Fawn Blog and Thanks so much for stopping by today! 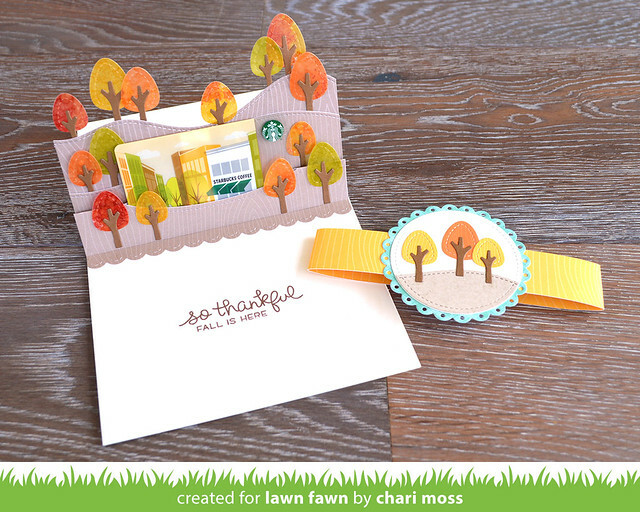 Labels: fall, gift card pop-up, inspiration week, knock on wood, lawn fawn, woodgrain backdrop. What a fabulous card...saw it on LF blog. Love how you added layers to the gift card die. I just love your trees on the hills! Your card is so creative. Very nice! 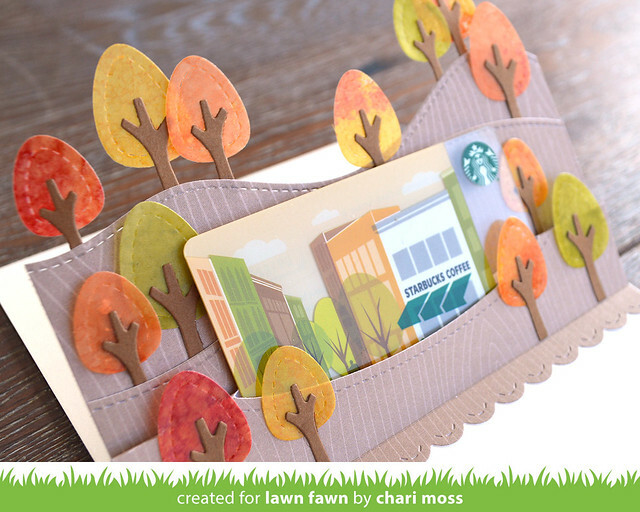 Gift card layered fall trees is beautifully colorful!!! This is one of my favorite gift card, cards. so amazing!